1. 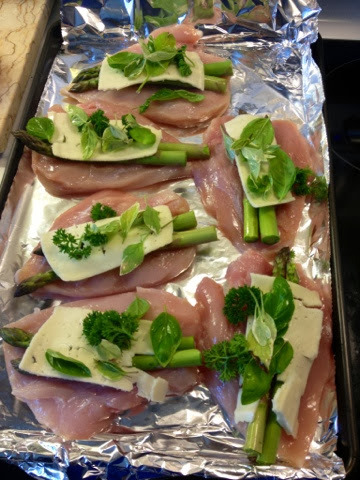 Cut chicken breast almost halfway to in order for them to lie flat. 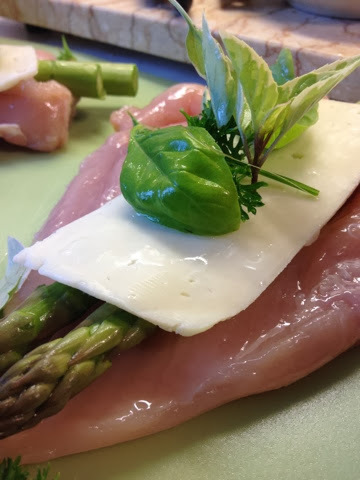 Add 2 asparagus spears and half a piece of low-fat Havarti cheese. 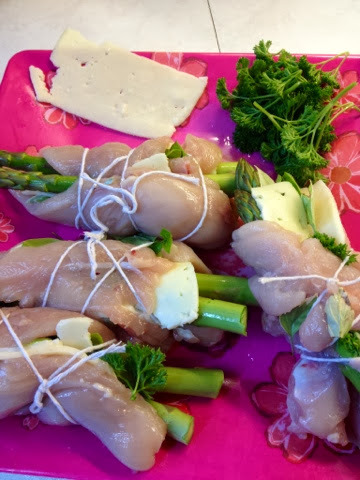 Note: it is easier to cut the chicken when it is semi-frozen. Add any available fresh spices such as parsley, basil, chives or dry spices of your choice. 2. 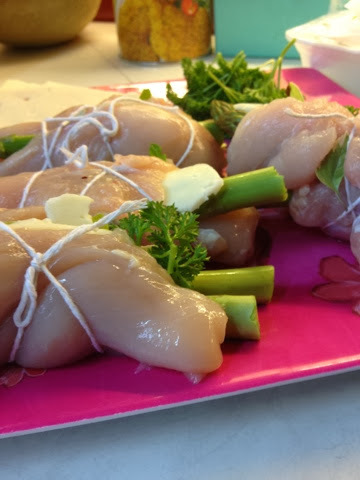 Fold and tie the chicken with cooking string. 3. 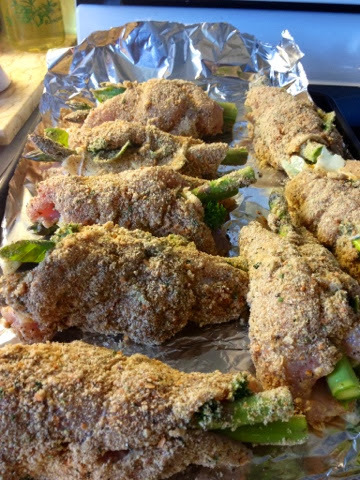 Dip the chicken in egg and milk batter and roll in bread crumb mixture. 4. 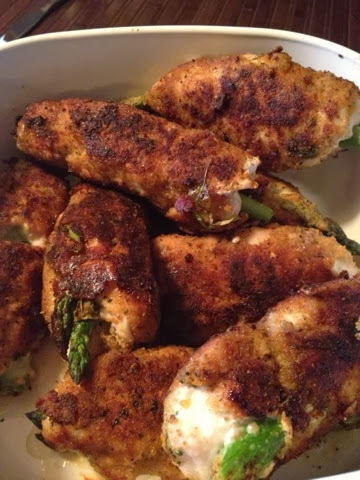 Fry them in a pan on Low/Med heat for 10-15 minutes, flipping often to ensure chicken is full cooked through. 5. Enjoy and remember to cut off the string before eating! 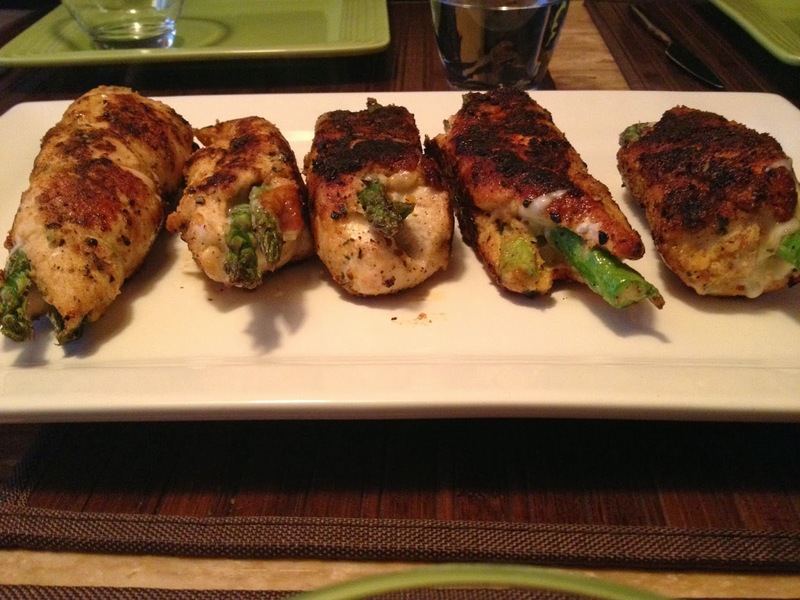 I adore this recipe because it's so simple to prepare yet makes such a professional final product. Perfect for dinner parties! I hope some of you will try it and let me know if you like it in the comments or on Facebook (www.facebook.com/myhealthyfashion). Must of been great with the pesto!